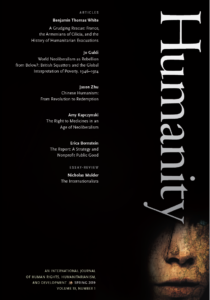 This post is part of our round table on Peter Slezkine’s essay on the origins of Human Rights Watch from our recent issue. Please be sure to read other entries by Stephen Hopgood, Kenneth Roth, Aryeh Neier, and a final response from the author. Peter Slezkine’s contribution is a welcome attempt to understand the expanding scope of Human Rights Watch (HRW) from its origins as the Helsinki Watch to its current claim to defend the rights of people worldwide. 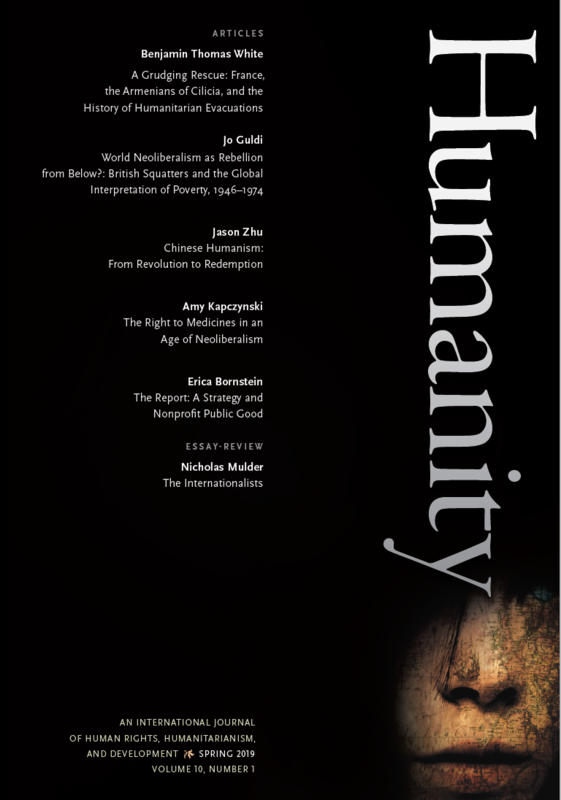 Despite the recent surge of interest in the history of human rights, it is one of the few contributions that try to approach human rights NGOs critically. As I have consulted the same records for my doctoral research on the practice of Helsinki human rights activism, I would like to briefly comment on the problem of archival restrictions. The archival approach is one of the merits of the article. It enabled Slezkine to historicize HRW and to illustrate that human rights NGOs—embedded as they always are in their contemporary context—change over time. Thanks to his consultation of a few documents from the early years of the organization, Slezkine provides his audience with new insights. In particular, the proposal for a planning grant to set up the Helsinki Watch and Alfred Friendly, Jr.’s memo give us new information on the struggle to define the mandate of the organization. However, as Slezkine himself acknowledges, due to the many restricted files in HRW records, the article is preliminary. Out of necessity, the author relied primarily on annual reports of Helsinki Watch and on memoirs of and interviews with its former staff. The few consulted internal documents date from two specific periods, July 1978 and March 1979. As such, the contribution struggles to go beyond the “official” account of the Helsinki Watch. Within academic circles and the public in general, there is a growing desire to understand the role of human rights NGOs. They are perceived as important actors in the promotion of human rights. To contribute to a better understanding of the history of human right, and thus to improving the promotion of human rights, scholars should be able to examine NGOs as well. However, when NGOs impose rigid access restrictions, scholarly research is hampered. Of course, there is reason to be cautious in granting access to potential sensitive information that could endanger local activists. But more than thirty-five years have passed since HRW’s establishment. Slezkine’s article should be read as an appeal to the organization to reevaluate its archival policy in order to help understand the history of human rights.